Carole & Tayfun Weddings offers an idyllic setting of the Blue Lagoon, Olu Deniz, Turkey or our beautiful 90ft twin mast yacht, the Carole Ann, for both weddings and receptions. Carole & Tayfun Weddings Team provide an excellent service to ensure that your wedding will be one to remember forever. Our price for our fully inclusive wedding package is 1750 pounds. The Turquoise Coast, Turkey is one of the most romantic destinations due to its beautiful beaches and scenery. The Blue Lagoon, Oludeniz, Turkey or the Gulf of Fethiye make idyllic wedding venues due to the stunning backdrop and the amazing sunsets. Our all inclusive receptions can be held either on a beach overlooking the Blue Lagoon, Oludeniz or on our yacht which is moored in one of the beautiful bays in the Gulf of Fethiye. All of our wedding packages will be tailored to fit your individual requirements and needs. Our experienced wedding planner will organise all the legal requirements and administrative work so that you can have time to relax and have an enjoyable holiday before your big day. FULLY INCLUSIVE: £1,750 (Our most popular package) THIS PACKAGE INCLUDES EVERYTHING YOU REQUIRE FOR THE PERFECT STRESS-FREE WEDDING ABROAD. THERE ARE NO HIDDEN EXTRAS. 2. Decorated venue (beach or yacht) in your colour choice. 4. Organisation and endorsement for all paperwork required in Turkey including fees/translation costs paid to British Consulate. 5. All costs incurred for Registrar (attendance and marriage certificates). 6. Transfer to clinic and fees for medical certificate (No examination or blood test required). 7. Translator - to translate the ceremony from Turkish to English. 9. Professional photographer/videographer - attendance for minimum of 3 hours including photos presented in album filled with A4 sized photos plus dvd of your wedding and cd of all photos taken. 10. Decorated car with driver from your accommodation to venue on wedding day. 12. Champagne toast for bride, groom and witnesses. 13. 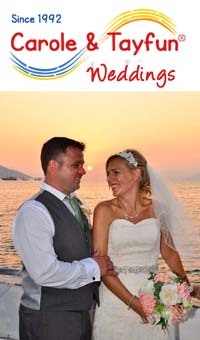 Registration of marriage in the UK including fees payable to Consul in Fethiye and postage to UK. 14. Loan of Turkish mobile phone so that you can be in contact with your wedding planner whilst in resort. FULLY INCLUSIVE RECEPTION £39 PER ADULT includes champagne toast, bbq dinner with decorated meal tables, plus unlimited local drinks up to 4 hours. 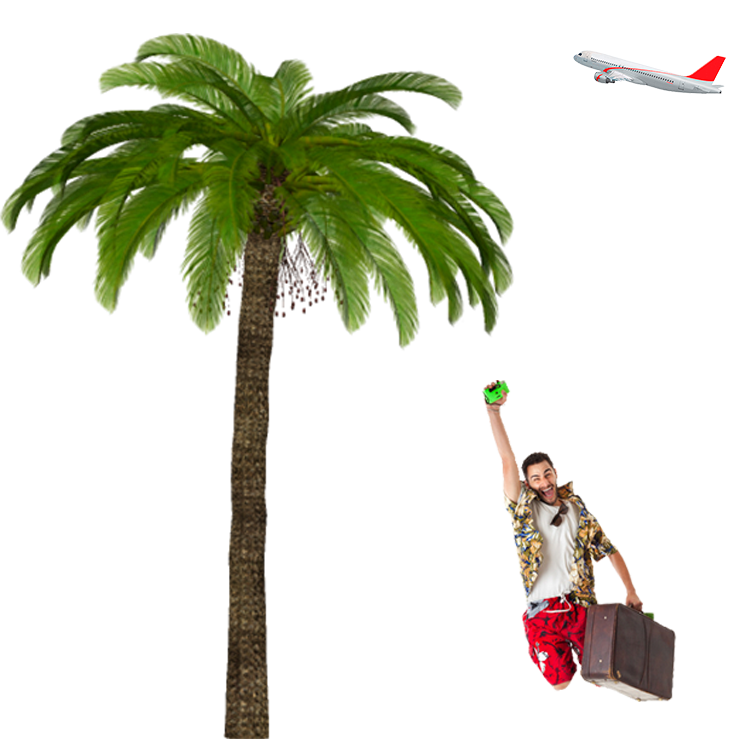 (beer, wines, local spirits and soft drınks) PLUS transfers by minibus from accommodation to venue and return from a maximum of 3 pick-up points. Children aged 2 to 11 years half price, under 2 years free. The non-refundable deposit of 350 pounds is due upon booking. Full payment is due in cash on your arrival in Turkey.